In all the most dramatic and violent moments in human history, there always was someone who made the brave choice of listening to their conscience and helping those who were persecuted and threatened. This meant challenging cruel laws and military occupations and exposing oneself to the possibility of retaliations. Yet many accepted that risk. There are many examples of this, but three in particular – two in the past, one from today – demonstrate that there is always light, even in the darkest of times. In the United States between the end of the 18th century and 1861 – the start of the American civil war – a network of secret tracks and safe shelters helped thousands of slaves to escape from plantations in the south to reach the states in the north and Canada. Particularly after the Fugitive Slave Law was passed in 1850 – a law which imposed that even in the northern states anybody suspect of being a fugitive slave had to be arrested and returned to their owners – the risks were enormous. As is described in the beautiful and brutal novel by Colson Whitehead ‘The Underground Railway’, the punishment for those helping the slaves went beyond the fines and prison sentences mandated by the law: burnt houses and lynchings were at the order of the day. A society that considered slaves to be objects did not tolerate those who considered them humans to be aided and exerted revenge on them so as to protect the established order. As told by Ercole Ongaro in the book ‘Nonviolent Resistance’, after the armistice of September the 8th, 1943, in Nazi-occupied Italy hundred of thousands of people risked deportation and their lives to help those who were in danger: the soldiers who were in active service on September the 8th, Jews and allied prisoners of war. The results of these incredible acts of courage and solidarity are little known today, but they are nonetheless extraordinary: 700’000 soldiers could return to their homes (out of a million and a half), 35’000 Jews (out of 40’000) and 40’000 allied POWs (out of 80’000) were saved. 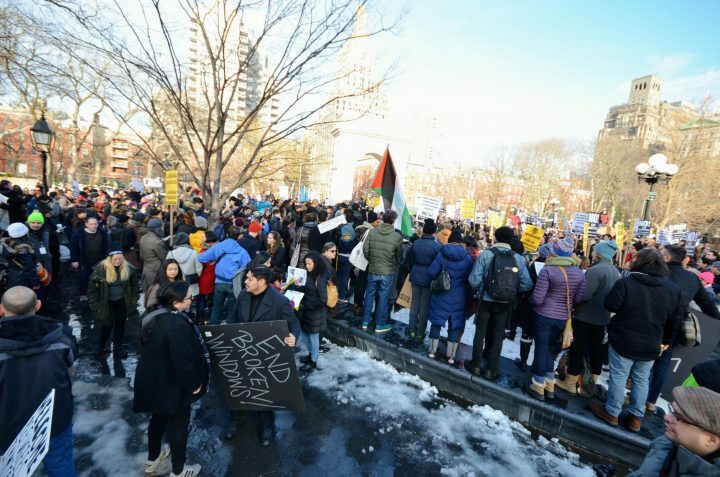 The awful term ‘deportation’ is back today in Trump’s United States, where people are organising for resistance and support for the undocumented migrants who risk being expelled from the country. 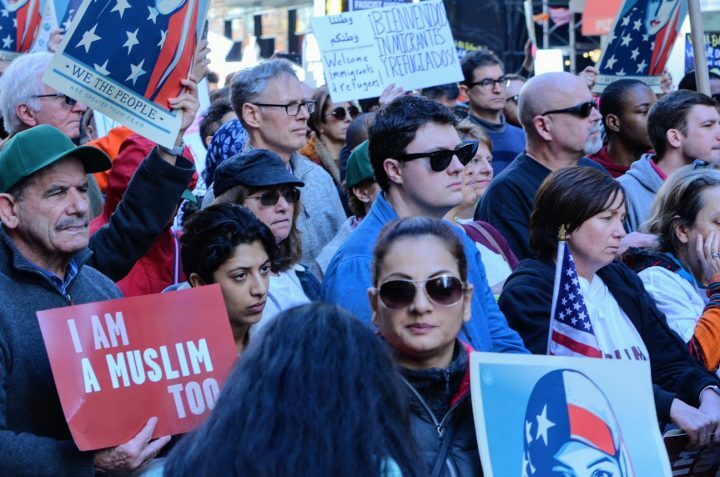 Beside the continued demonstrations of support and solidity towards immigrants and refugees, the ACLU (American Civil Liberties Union) is setting up rapid response teams with lawyers and local groups to provide legal assistance to those threatened by deportation. A number of cities, such as New York, Boston and San Francisco as well as states such as Oregon are mobilising to resist Trump’s measures against migrants and sanctuary cities. “I will do everything that is licit and in my power to protect those who feel threatened and vulnerable’, declared the Major of Boston Marty Walsh. ‘If necessary, I will use the town hall as a shelter to protect those that are unjustly targeted’. In California the representatives of various religions have joined to form a network of rapid response to shelter safely (non only in churches and religious buildings but in private houses as well) hundreds and possibly thousands of undocumented migrants. The use of private houses offers a greater degree of constitutional protection, since federal agents cannot enter without an appropriate court order. The synagogue of Hollywood Temple Israel is full of volunteers ready to accompany migrants to their meetings with the authorities and offer free legal assistance as well as food and clothing to the safe houses. Aiding an undocumented migrant is a crime punishable by jail and those who are ready to do it know that. Like in all other similar situations in history, the motivation is simple: to do what one considers to be right no matter what the consequences are. Thousands of Nigerians have been displaced by the Boko Haram insurgency. The UN High Commissioner for Refugees said it was “very concerned” after 517 Nigerians were expelled, including 313 who had requested asylum. As of February 17, more than 61,000 Nigerian refugees were at the Minawao camp in northeast Cameroon, but there are many others outside the site. Boko Haram, a militant Islamist group that has now fragmented into two factions, took up arms against the Nigerian government in 2009. The conflict, which has spread from northeast Nigeria to other countries in the Lake Chad region, has displaced more than 2 million people. Over 500 Nigerians who fled into northern Cameroon to escape Boko Haram Islamists have been forced to return to Nigeria, the UN refugee agency said Wednesday. The UN agency said it planned to sign an agreement with Cameroon and Nigeria on March 2 for the voluntary return of 85,000 Nigerian refugees. But it also said it was continuing to urge the Cameroon government to offer asylum and respect international conventions against forced repatriation of asylum seekers. Boko Haram attacks have also driven people from Cameroon villages along the border. 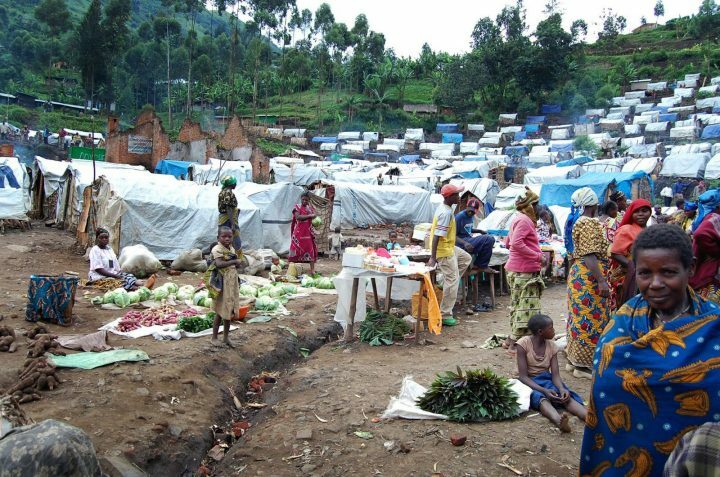 On Wednesday, the Red Cross distributed food to 2,500 displaced households at a camp in Kolofata, Cameroon. In the meantime the Nigerian Government has approved the construction of the Cameroon-Nigeria border link bridge as part of its efforts to strengthen the bilateral ties between the two countries. The Minister of Power, Works and Housing, Babatunde Fashola said the construction would swallow up $38 million, while $9 million would be for consultancy. Nigeria and its neighbours have cooperated closely in fighting Boko Haram, which split into a faction aligned with the Islamic State militant group (ISIS). Five countries—Nigeria, Niger, Cameroon, Chad and Benin—contribute troops to a regional taskforce aimed at routing the militants. Cameroonian troops have also conducted cross-border operations against Boko Haram. The militants have been pushed back in Nigeria, but still retain the capacity to carry out suicide and car bombings. Seven suicide bombers blew themselves up last week on the outskirts of Maiduguri, the Borno state capital in northeast Nigeria. Is there consciousness beyond (physical) death? My experiences suggest there is, but there’s no way I can be certain. Perhaps one day I will know for sure. Perhaps not. I recently received some clarity, however, on what might await us after death. One night earlier this week, I awoke to find God speaking to me with a very clear message. Yes, there is consciousness beyond death, God said to me. But not individual consciousness. You will continue to experience things after your body dies, God explained, but not from your own individual perspective. You will experience everything from my perspective. You will no longer perceive yourself to be separate from anyone or anything else in the universe. The spiritual life is a mystery. Indeed, the relationship between body, mind, heart, soul and spirit (and the degree to which these depend on one another) isn’t something we’ll likely ever understand completely. For those who have eyes to see, however, there are many clues in the natural world. Recently, I came to see a pretty good analogy for the life of the Spirit in terms of a squirrel, an acorn, an oak tree, and a field. The acorn in this analogy represents the body, and the squirrel is the mind or soul. Like acorns, our bodies are carried along by our souls (the squirrels). The soul depends on the body, just as the squirrel depends on the acorns; and just like the acorn, the body depends on the soul (the squirrel) to carry it along. From New York to Los Angeles, a series of immigration arrests this week have unleashed waves of fear and uncertainty across immigrant communities. “There are people that I work with who essentially want to go dark,” said Cesar Vargas on CNN, one of the first immigrants without legal status in New York state to be sworn in as a lawyer.